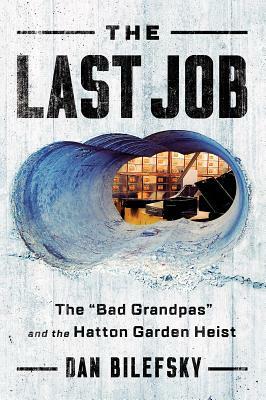 Over Easter weekend 2015, a motley crew of six English thieves, several in their sixties and seventies, couldn't resist coming out of retirement for one last career-topping heist. Their target: the Hatton Garden Safe Deposit, in the heart of London's medieval diamond district. "The Firm" included Brian Reader, ringleader and legend in his own mind; Terry Perkins, a tough-as-nails career criminal but also a frail diabetic; Danny Jones, a fitness freak, crime enthusiast, and fabulist; Carl Wood, an extra pair of hands, and definitely more brawn than brains; John "Kenny" Collins, getaway driver, prone to falling asleep on the job; and the mysterious Basil, a red-wigged associate who has only now been identified. Perhaps not the smoothest of criminals--one took a public bus to the scene of the crime; another read Forensics for Dummies in hopes he would learn how to avoid getting caught--they planned the job over fish and chips at their favorite pubs. They were cantankerous and coarse, dubbed the "Bad Grandpas" by British tabloids, and were often as likely to complain about one another as the current state of the country. Still, these analog thieves in a digital age managed to disable a high-security alarm system and drill through twenty inches of reinforced concrete, walking away with a stunning haul of at least $19 million in jewels, gold, diamonds, family heirlooms, and cash. Veteran reporter and former London correspondent for the New York Times Dan Bilefsky draws on unrivaled access to the leading officers on the case at the Flying Squad, the legendary Scotland Yard unit that hunted the gang, as well as notorious criminals from London's shadowy underworld, to offer a gripping account of how these unassuming criminal masterminds nearly pulled off one of the great heists of the century.